Damage Entertainment Studios accommodates world-class recording services for recording artists, multi-tracking, mastering, restoration, sampling, and looping. ​A versatile workspace with state of the art tools this studio handles any tracking, overdub & mixing projects in a comfortable & relaxed surrounding. 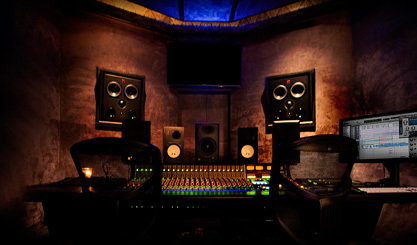 The new Damage Entertainment Studio in Las Vegas is a state-of-the-art recording, design, editing and production facility. This studio is designed to work in tandem with our existing Lora Bay studio, Pyrotek lab, warehouse and client demonstration theater. This facility is ready to begin immediate production.